Raw Materials: gypsum, tailings, sludge, kaolin, clay, activated carbon, coal power, iron powder, coking coal, aluminum powder, iron slag, oxide scale, carbon powder, slag, etc. 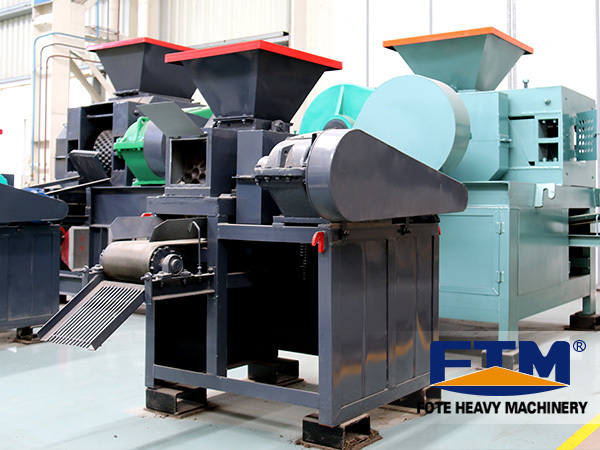 Desulfurization gypsum briquetting machine can be applied to briquette gypsum, tailings, sludge, kaolin, clay, activated carbon, coal power, iron powder, coking coal, aluminum powder, iron slag, oxide scale, carbon powder, slag, etc. 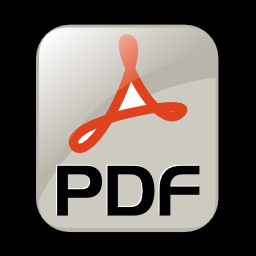 It can press the desulfurization gypsum into ball at one time. No adhesive is needed, so its purity can be guaranteed. Desulphurization gypsum briquetting machine and the corollary equipment can press and pellet the desulphurization gypsum powders once and for all without adding any adhesive. It has high output and big hardness, so that it has been used in many power plant and cement plant and the effect is excellent. 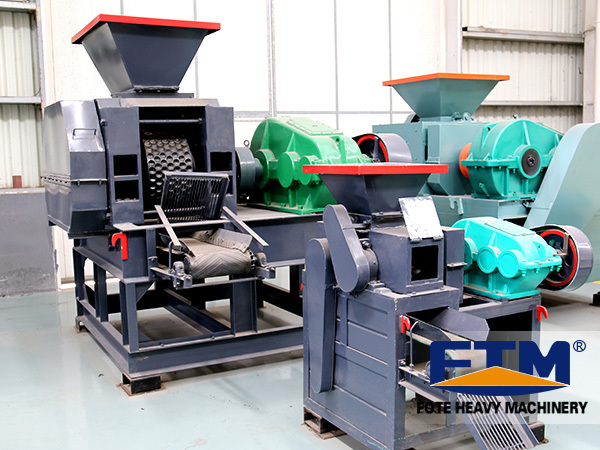 The desulphurization gypsum briquette making machine produced by Fote Machinery has high pelleting rate, high hardness of the balls and not easy to be damaged when loading and unloading, so that it is well received by customers. Besides, it can take its shape directly without following drying process, which is more beneficial for the connection and remolding of the current process. 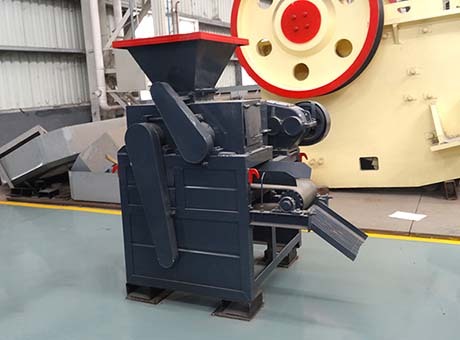 The final balls pressed by this briquette machine can be used in cement plants to replace natural gypsum as cement retarder. With the breakthroughs of technical challenges, our company has successfully signed contract with many customers and built desulphurization gypsum briquetting machine production lines and opened up new chapter of desulphurization gypsum ball press machine, thus really realizing the cyclic utilization of resources, which not only create excellent economic and social benefits, but conforms to the policy requirement of sustainable development, so that this ball press machine has wide development prospect. 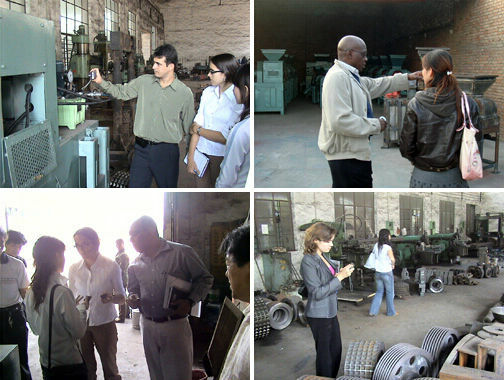 Desulphurization gypsum briquette machine is mainly composed of two parts: feeding part and driving part. 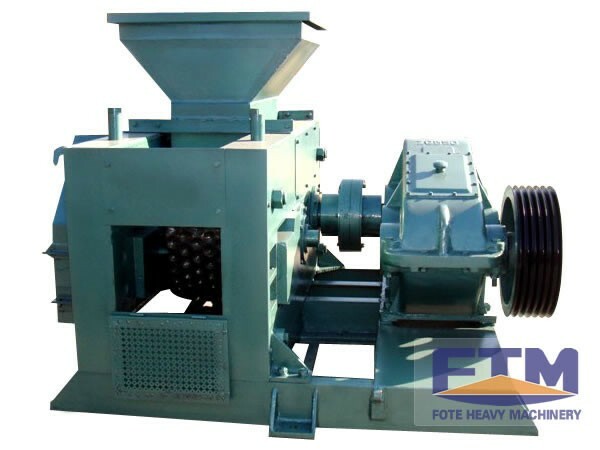 As the professional desulfurization gypsum briquette machine suppiler and manufacturer, Henan Fote Heavy Machinery Co., Ltd. enjoys great popularity both at home and abroad.